Tracy tells Dillon about fainting in the crypt and having the hallucination of her life. She says she&apos;s finally at peace with herself. Kiki runs into Carly. She talks about the pending divorce and how she should take her rings off. Sonny and the woman he picked up end up sleeping together in her room on the Haunted Star. The next morning......(I think that&apos;s the first time we&apos;ve seen a day end and another day begin within the same episode). Sonny and Martina introduce themselves. Neither has regrets of their night together. He wants to see her again, but Martina says she&apos;s only in town for the week for work. Nathan happily tells Dante that Maxie&apos;s coming home today. He gets a call from Maxie that she&apos;s been offered a permanent position and has decided to stay in Portland. Dante reassures him that they&apos;ll make the long distance work, but Nathan&apos;s not so sure. Remind me again, why Nathan can&apos;t just move to Portland? Carly meets with Lulu at The Star. Lulu says she knows about the divorce and is surprised that Carly is keeping all of Sonny&apos;s legitimate assets. Carly says Sonny had Jax deported and Sonny can live on all of his illegal holdings. She feels this will make Sonny rethink his priorities. Carly hears a noise in one of the staterooms. She almost walks in on Sonny and Martina, but Lulu drags her away. Carly mentions taking off her rings, but Lulu warns her not to do it until she&apos;s ready. Carly heads to the divorce meeting. Diane tries to talk her out of going through with it. 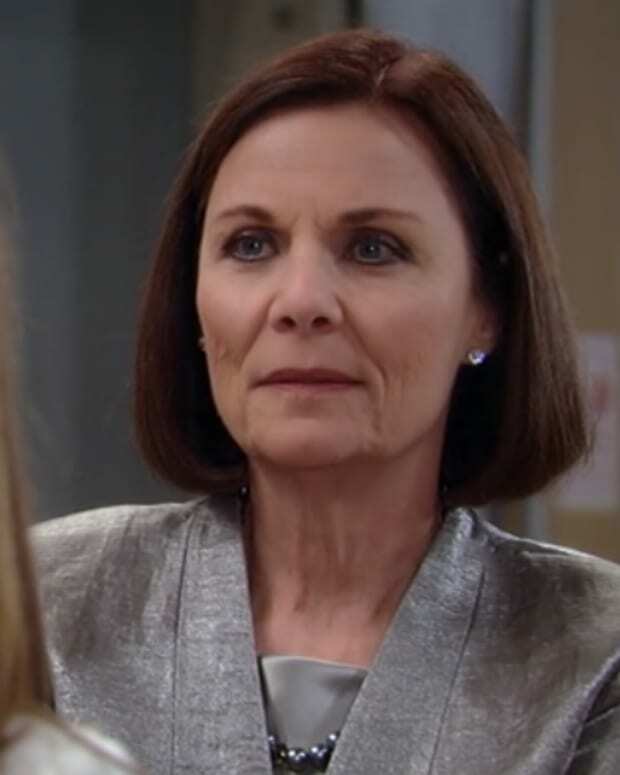 Diane also wants Carly to give the holdings back to Sonny. Carly says they are legally hers and that Sonny can have them back once Jax is allowed back in the country. Diane says Sonny is deeply flawed and Carly has been the only one who can put him back together when he loses it. She thinks they should compromise. Sonny arrives and Carly is about to change her mind when she spots that he&apos;s removed his ring. Carly&apos;s lawyer arrives and duh duh duh, it turns out to be Martina. At the mansion, Tracy&apos;s invited people over for an announcement. Before she has a chance, Ned announces that since he was raised a Quartermaine, and that&apos;s how he thinks of himself, he&apos;s decided to legally change his last name. Once everyone else has arrived, Tracy explains what happened on her quest to Turkey. Tracy says she&apos;s chased her father&apos;s love for some time and now she needs to step out of his shadow. Tracy says she needs to make a life for herself and that she&apos;s leaving Port Charles.